Well, suddenly Autumn is upon us after a very patchy summer. 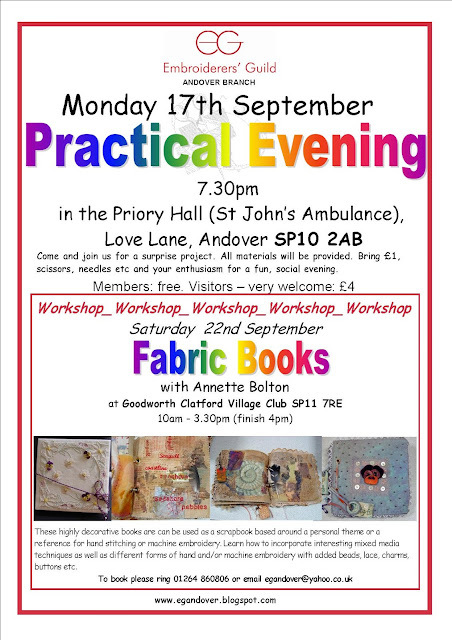 The September meeting is a practical one so please bring £1 for the materials which will be provided plus your normal sewing things. Some autumn coloured embroidery threads and beads if you have them might be useful but there are sure to be some to share. 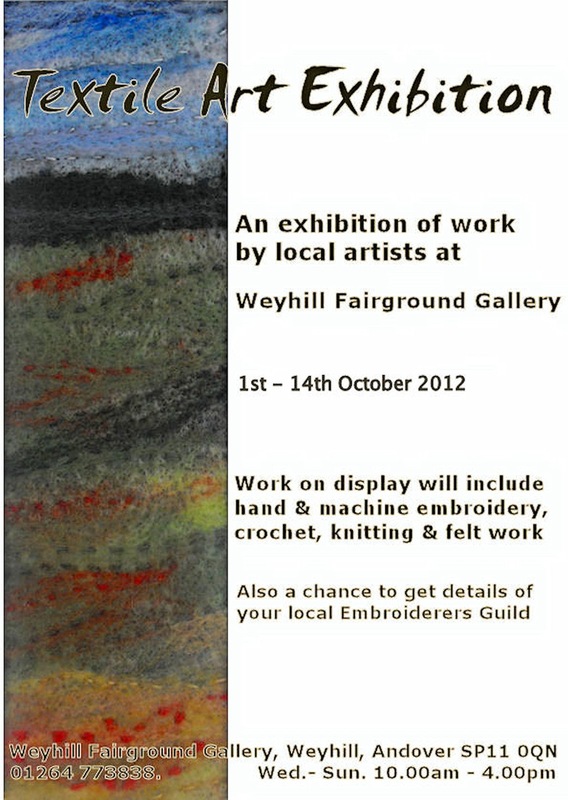 and on the coach trip to the Knitting and Stitching show on Sunday 14th October (see July entry below). Everyone is welcome. The regional A.G.M is on Sat. Oct 6th at Banbury. 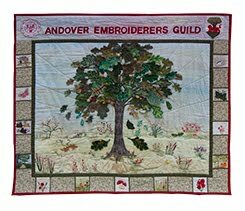 As well as the AGM there will be an exhibition ‘ Looking Through ‘ and in the afternoon a talk by Jane Davis called ‘Yurts ,Yaks and Yogurt’- Textile adventures in Kyrgyzstan and Uzbekistan. We are delighted that the Guild CEO, Terry Murphy, will be at our own AGM on October 15th so it would be good to have a full house. 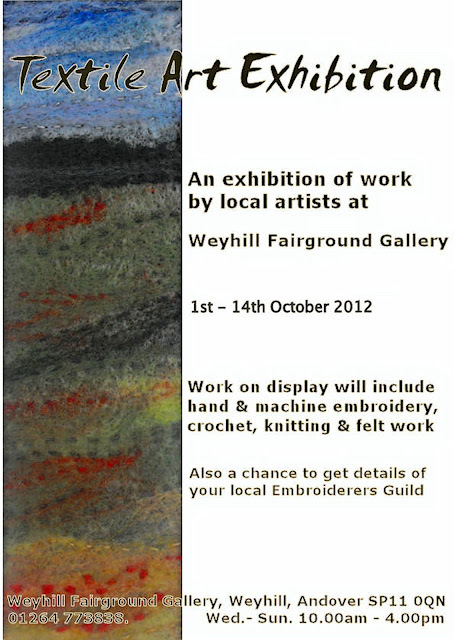 And another date for your October diary - Anne is organizing a textile exhibition at Weyhill Gallery between Oct 1st -14th. If any member would like to take part, please contact her.